Ensuring you have enough money to last you through your retirement is crucial to having the life you deserve when you’ve finished working. Our financial planners can assist you to continue growing your savings, even when retired. Talk to us today. Super - How long will it last? Throughout your working life, retirement always seemed so far away and your Super was money you could never touch. But now you are thinking about retiring and you need to know how much you have saved and how long it will last. How much do you want each year when  you retire? How is your money currently invested? Do you have any debts that need repaying? Would you like to be able to travel? If you realise you don’t have enough, then an action plan can be put in place. Perhaps a change to your mix of investments is needed? 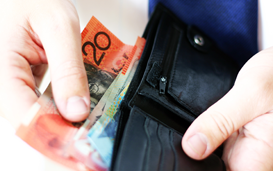 If you are still working then you may need to salary sacrifice towards your Super. Whatever the outcome, putting a plan in place as soon as possible affords you greater choice when you do decide to fully retire and enjoy the fruits of your labour. Have you worked and paid taxes all your life and now you want a little in return? By setting up the correct asset structure you can maximise the benefits you receive via the Aged Pension. 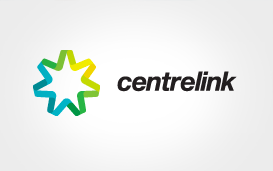 Centrelink use two tests to assess your eligibility for the Aged Pension – the Income and Assets tests. For example, you could consider purchasing an income stream (Annuity type security) which is assessed differently to shares. Or you could gift up to $30,000 over a five year period if you are just above the assets test. Did you know that Super monies held in the accumulation phase are exempt from the asset and income tests? This means that if you have a partner younger than yourself who is still contributing to their Super, you can opt to invest in their name. In addition, your own home, regardless of its value, does not fall under the assets test. If you are thinking of renovating or moving to a new home, you should consider doing this before making a Centrelink claim. Retirement and pensions can be complicated, so it is important that you seek sound financial advice before making any decisions. At Edge, we will take time to understand your current situation, as well as your future needs and goals. We put steps in place to help you achieve these, and monitor and assess your progress to ensure you stay on track for long term security. Have you arrived at a position of being asset rich but cash poor? Would you like to have more cash but don’t want to sell your property? A reverse mortgage allows those over the age of sixty to free up some cash by taking a mortgage out against their home. You are not required to make any repayments of principal or interest while you are still living in your own home. You can access up to 45% of the value of your house, depending on your age and the interest and other associated costs will be rolled into the loan. It is only when you premanently vacate the premises that you will are required to use the sale proceeds to pay back the loan. While this doesn’t appeal to everyone, it does allow you to stay living in your own home, in your neighbourhood without having to downsize your house or pay additional stamp duty on a new house. 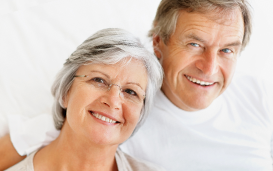 There are some important things to consider when considering a reverse mortgage. For example, interest is typically charged at a higher rate and you need to ensure that you are using an ASIC licensed provider (who is bound by regulations to protect the consumer). Use the following calculator to see how interest accumulates on a reverse mortgage. If you have any questions, Edge Financial Planning is more than happy to discuss your options. Contact us today. The rising costs of housing means many children require the assistance of their parents in order to purchase their first home. There are several ways you can help them. Perhaps you’d be willing to be a guarantor on their mortgage, or you may wish to use the collateral in your own home to help them with their deposit. 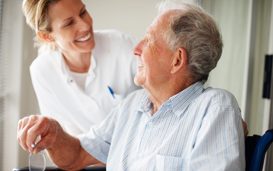 Are you or a loved one starting to think about nursing homes and don’t know where to start? There are so many different types of homes, levels of care, payment structures, accommodation bonds and facilities that it can be confusing. It can also be a time when emotion within a family runs high and it can help to talk through your options with a financial planner, who can guide you through the financial considerations. At Edge, we often meet families who have chosen a particular home based on its facilities or proposed level of care, but they feel lost when it comes to how the bond and ongoing fees work. While many aged care homes have different payment structures, it is important that you clearly understand them before signing anything. You will need to know how you are going to pay ongoing fees and where your money sits if you are required to have an accommodation bond. There are rules about how much money you or your loved one must be left with and maximums that can be charged on an ongoing basis. Edge Financial Planners spend time with you and your family to explain how aged care plans work and if there are alternatives to what has been proposed to you. Estate Planning can be as simple as establishing your Will or it can be extended to Trusts and Powers of Attorney. Putting your wishes in place now ensures peace of mind in the future. Keeping your Will up to date is vital. It should set out how your assets are to be divided, as well as the guardianship of your children and the dispersal of any insurance payouts. A well planned Will ensures a speedier settlement of your estate and minimises disputes. 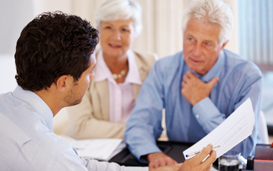 Estate Planning is not however, only limited to the execution of your Will. It is also important to nominate the person who will make decisions on your behalf if you become incapacitated. By appointing a Power of Attorney you can decide who will make important decisions for you in the event that you cannot. You may wish to provide for your children’s education or leave them a gift. This can be done in a tax effective manner via a Discretionary Trust. Many of us are not prepared for the unthinkable. Edge financial planners work carefully through your desired structures with you, so you can feel prepared and secure that your affairs are in order.